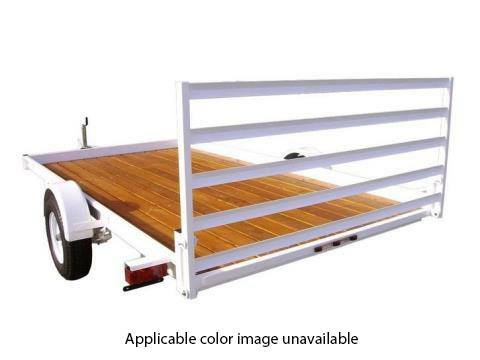 7 x 12 wooden deck with formed side rails, full width rear drop ramp, 13 in. tires and post jack. Every Zieman trailer meets or exceeds all applicable Federal Motor Vehicle safety standards. All trailers are sand blasted and have a black or white powdercoated finish. Jack and caster are standard on all models.